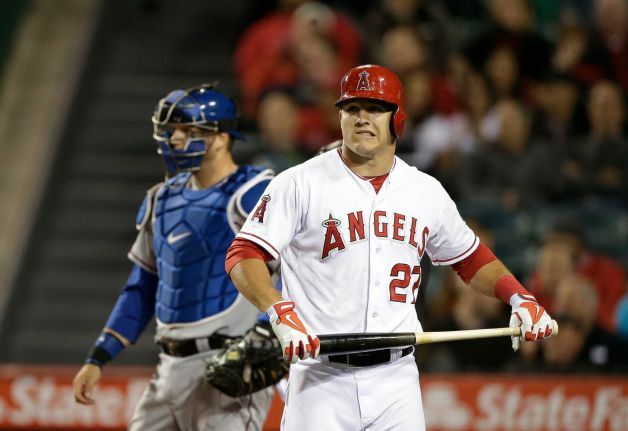 Mike Trout reacts to Yu Darvish's wicked curveball after being called out on strikes. Football … We’re talking Football?? It’s time to talk baseball and here is the wayyyyy too early 2019 MLB Power Rankings. Most assume the Astros are a lock to be atop the 2019 MLB Power Rankings, but the Red Sox are built to last. It’s the best Boston team in the past 20 years. They are explosive and deep. Most key parts are expected back and are in the prime of their careers. Right on the Sox’s heels in the American League are the Astros. They too, are a young team with the core of their players in their prime. However, Dallas Keuchel, Marwin Gonzalez and Charlie Morton look to be apart of an impressive free agent class this off-season. If the Astros lose them, they have legit prospects behind them ready to go. It should also be noted that Justin Verlander will be another year older too. The Yanks are knocking on the door again for the top sport of the MLB Power Rankings. This year’s loss couldn’t hurt as bad as the year before, where they surprised many with the run they made. If anything, this team will have another year together to build on chemistry that soared in the last half of the season. Didi Gregorius will miss some time and Gleyber Torres will move to short to replace him. Whether they sign impending free agents Bryce Harper or Manny Machado is to be determined, but even if they don’t make any big splash signings this off-season, they are equipped to make another go at it in 2019. The No. 1 priority coming into 2019 has to be resigning Clayton Kershaw, who is expected to opt out of his contract. Yes, he was banged up this year, but even a beat up Kershaw is still one of the top hurlers in the game. This Dodgers bunch is tricky. They are aging and this postseason has exposed their glaring holes. Will they see a Machado return? Or will Harper be the prize? Hard to say. If Harper does sign with them they could easily be a top three team. A season or two early, maybe, but the Braves were one of the most exciting stories in 2018. And, thus, earned a top five spot in our MLB Power Rankings. Ozzie Albies and Ronald Acuna, Jr. are the future and give Atlanta something to build on, including their stud prospects coming up. Add Freddie Freeman and a good young crop of pitchers, with maybe a notable top rotation starter signing and the Braves could shock the baseball world. Dansby Swanson will have to prove he’s worth being an everyday shortstop and if they don’t sign Nick Markakis they might have to promote within or sign a solid bat. First question: When will phenom Cristian Pache be called up? Three straight years now that the Cardinals have missed the playoffs. If that’s not enough to fuel them for a better 2019, who knows what will. With Marcell Ozuna and the young talent the Cardinals have in Harrison Bader and Jack Flaherty, they seem to be good foundation builders for this franchise. Tyler O’Neil and Carson Kelly are also players to watch out for. Don’t expect St. Louis to miss the playoffs four seasons in a row. There isn’t much of a difference between the Cubs and the rest of the teams in the top 10. They have the talent but there are questions that will need to be answered before the season begins. Is Addison Russell returning? If he doesn’t, is Javier Baez the regular shortstop? Is there room for another bat, such as Kris Bryant‘s buddy Bryce Harper? Taking on Harper might make keeping Bryant and Anthony Rizzo in the long run tricky. The biggest question though, what are they going to do about their rotation? Yu Darvish is coming off a significant injury. Jon Lester‘s and Cole Hamels‘ ages are starting to show and there isn’t enough talent on the farm to replace them. The Brewers were one win away from reaching the World Series, which would’ve been the first time since 1982. The Yount years. Most of the key players will return next year, which makes Milwaukee’s chances of actually going even further than the NLCS realistic. Christian Yelich has turned into a super star and he’ll be making just $9.75 million next season. This opens the doors for the Brewers to fill any gaps this off-season with worthy free agents. Because of this, they rest in the top ten of our MLB Power Rankings. Even though the Indians, once again, came up short, they play in undoubtedly one of the weakest divisions in baseball. For the next 2-3 years they should stay atop Central without any threats. The dynamic infield duo of Francisco Lindor and Jose Ramirez lead this team, and it will be this window of 2-3 years for the Indians to win until contract time comes. This off-season, signing relievers Cody Allen and Andrew Miller are a top priority. After that, Michael Brantley, Josh Tomlin and Josh Donaldson will be handled next. Like the Indians, the Rockies have a small window to make something happen. Nolan Arenado deserves better. This off-season they might finally say goodbye to Carlos Gonzalez and also have to make a decision on whether to keep DJ LeMahieu or Adam Ottavino. Both will hit the market. And remember, Arenado is up for an extension. Even if they lose LeMahieu and Ottavino, the future of the team looks bright with Ryan McMahon, Raimel Tapia and Brendan Rodgers on the rise. If they can come in and contribute right away, it will take the pressure off Arenado, Trevor Story and Blackmon. Erik Neander is an underrated GM. While his moves at first seemed too reactive and confusing, they completely changed the franchise for the better. Example, trading Chris Archer to Pittsburgh for Tyler Glasnow, Austin Meadows and Shane Baz was pure genius. Even his earlier transaction when he moved Tampa legend Evan Longoria to San Francisco for star infield prospect Christian Arroyo was a move that restocks this new Rays team with potential future All-Stars. Blake Snell looks to continue his ridiculous 2018 campaign, where he pitched a 1.89 ERA and garnered 21 wins. Expect Willy Adames to be the starting shortstop Opening Day. Out of most prospects, he seems to be developing into a complete star. The Rays could add another cheap bat or two in the infield though. A true Cinderella story, the Phillies surprised everyone in 2018. That is before September. September was not a good month for the Phillies. While it seemed they were destined to pop the champagne, their bullpen showed the glaring holes they have and the team’s defense was the worst in the majors. The bullpen issues stop the Phillies from climbing higher into the MLB Power Rankings. For those who thought this team was like the Atlanta Braves, think again. While the Phillies have a great core of young players now and coming into the bigs, they are a couple years out from competing in the East. This off-season they’ll have to sign some legit arms and a couple solid bats and figure out what they want to do with Rhys Hoskins in the field. J.P. Crawford will also have to show why he was at one time their top prospect. Hiring Brad Ausmus as their next manager to succeed Mike Scioscia could either be a genius analytics move or could wind up being a complete disaster. To be honest, it’s 50/50 at best. Did Mike Trout approve of this move? The Angels’ farm system has been plucked of relevant prospects. So this off-season the Angels will have to make some moves in free agency to improve their roster. 2020 is the most important year for the club. Either they become contenders before then, or have one hell of a sales pitch, and truck loads of money ($500 million maybe?? ), to keep the Millville Meteor in their outfield. And that might be the same year Shohei Ohtani returns to the mound. Patrick Corbin and A.J. Pollock could make or break the Diamondbacks’ odds in 2019. If they stay they’re back in the mix, contending for the NL West. If not, it’ll be a clear sign of rebuilding and this 14-ranking will be a 20 through 25-ranking most likely. Like the Phillies, the Diamondbacks played like a 90-plus-win team for most of the season before their September collapse, where they won just eight games. The Diamondbacks are a tough team to predict. If Corbin and Pollock end up leaving the desert, it would make sense for the Diamondbacks to go into full rebuild mode and trade away fan favorite Paul Goldschmidt and Zack Greinke. The A’s are confusing– always have been. When they are counted out they perform and when raved about they fail to produce. Matt Chapman provides great middle of the lineup power and he’ll be back next season. Blake Treinen probably won’t have an 0.78 ERA again, but he is the closer of a deep bullpen that brought the A’s success. Dustin Fowler should be a key player to look out for. Injuries plagued his 2018 season. Manager Bob Melvin has said Fowler is apart of their future plans and they haven’t given up on him. When healthy, Fowler adds a good mix of power and speed to the lineup that should translate to wins. A.J. Puk might make his debut in 2018 and their future mid-infielder Jorge Mateo will as well. Whether the A’s continue their impressive play beyond 2018 is anybody’s guess though. The Twins are quietly rebuilding their franchise. They recently fired Paul Molitor and looked to young manager Rocco Baldelli to helm this team. They’re hoping he can reignite Miguel Sano, Byron Buxton and even to some extent Max Kepler to meet their full potential. 2018 was an incredible decline for each. They are the future of the club and need to produce. Financially there is some wiggle room. Joe Mauer might retire. They declined the options of Ervin Santana and Logan Morrison, which gives them payroll around the $80 million range. Now it’s time to go shopping. It’s safe to say Bryce Harper won’t be suiting up for the Nats in 2019. That said, Juan Soto is a worthy replacement, and with top prospect Victor Robles and Adam Eaton with Michael Taylor platooning, this outfield still looks to be one of the better ones in the National League. Max Scherzer and Stephen Strasburg still top the best rotation in the National League, if not, in the NL East. They could still use another bat or two and some bullpen help to return to the top of the East once again. It all begins with Jacob deGrom and the rest is a crap shoot from there. The Mets could go in any direction in the MLB Power Rankings. Do they play in free agency and add pieces around high OBP guys like Brandon Nimmo and Jeff McNeil? Or do they blow it up and start over? Jay Bruce and Todd Frazier can be taken or left, without effecting much. Noah Syndergaard needs to return to ace form, and Amed Rosario has shown flashes of greatness. Whether they rebuild or add onto what they have, either decision is justified. Pittsburgh fans must be frustrated with the Pirates. Are they rebuilding or not? Are they saving money or not? What is this club doing? Chris Archer was a good acquisition but the price of three top prospects seemed a little high. Even before that, trading longtime star Andrew McCutchen to the Giants for peanuts snatched the the soul straight out of them. Signing Corey Dickerson after Tampa Bay dropped him was smart though. He added 150+ hits to their lineup, sure, but with the Brewers, Cubs and Cardinals successful developments, the Pirates might need more or they’ll be left out of the hunt. For now, they are looking at a continued drop in the MLB Power Rankings. 2019 could be the last we see the Blue Jays scraping the bottom of the AL East standings and near the bottom of MLB Power Rankings. Vladimir Guerrero Jr. and Bo Bichette are on the rise and should be the final pieces for Toronto to make a run in the AL East. The return of Aaron Sanchez and Marcus Stroman add some punch to their rotation. Their is enough money to add some more key pieces that will overlap in the coming seasons, where their prospects start making the roster. 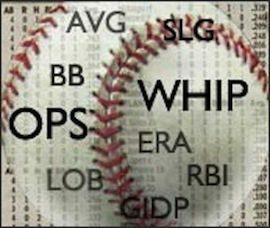 While clubs such as the Braves and Phillies are ahead of schedule, the White Sox, pending how you look at them, are either right on time or behind the process. Case in point: Yoan Moncada. There are times when Moncada looks every bit of the top prospect he was. But there are other times where he appears lost and reeks that odor of a potential bust. The Sox gave up Chris Sale to the Red Sox in return for heap of solid prospects– Moncada being the headliner. 2019 will be a year Moncada has to make big strides or he will be passed by other top prospects in the organization such as: Eloy Jimenez, Michael Kopech, Luis Robert and Nick Madrigal. The White Sox have a top five farm system and if everything falls into place they could return to AL greatness they achieved in the mid-00s. For it to click though, it will be a few years. At the end of this upcoming season Felix Hernandez is off the books. This will open them up financially to make moves. Dee Gordon, Kyle Seager and Jean Segura are good enough players to build around. The price of that will be a rough 2019 for the club, however. Their rotation is subpar and could use some legit depth. No one predicted they’d be over .500 last season, so who knows, maybe they can surprise again. Reminiscent of Seattle, there isn’t much to be excited about here. Not for another year or two at least. Expect to see the Reds at the bottom of MLB Power Rankings for quite some time. The last few drafts have been impressive for the Reds, but until they’re promoted to the majors, we’re left with people like Homer Bailey and Scooter Gennett. Eugenio Suarez was a pleasant surprise in the lineup last season. Billy Hamilton too. He’s always exciting to watch. Come the trade deadline, there might be teams who want his speed on the base paths. If this past postseason taught us anything, speedy pinch runners are crucial. If there is any team that is ranked too low, it might be the Padres. They have the best farm system in all of baseball and they’re now starting to bleed through into the majors. Top prospects Fernando Tatis Jr. and Mackenzie Gore are still a year or two away from complimenting this developing roster. Hunter Renfroe added some much needed power to the lineup. Top catching prospect Francisco Mejia, who was acquired from the Cleveland Indians, really came on at the tail end of the season and has shown more good than bad. The pressure though will be on 2018 top free agent signing Eric Hosmer. His lack of production puts him in a produce now situation to justify his $144 million contract. Texas is slowly declining. After reaching the postseason in 2015 and 2016, they’ve steadily went from 95 wins to 78 wins to 67 in 2018. What’s there to be excited about here? Joey Gallo is blah. For every home run he strikes out 10 times it seems. Adrian Beltre is nearing retirement and the fun of watching an inflated 45-year-old Bartolo Colon has ran its course. Now it’s time to get serious. Are Nomar Mazara and Rougned Odor the foundation pieces the Rangers need? Is Jurickson Profar finally going to hit his ceiling? Too many questions and we’re not even sure if we care about the answers at this point. It’s sad, this Giants team. Gone are the days of Buster Posey, Brandon Crawford and Hunter Pence lighting up pitchers. What was left for 2018 was an aging team stuck in the middle of trying to recapture the past while rebuilding at the same time. These are two conflicting strategies that didn’t work. Acquiring Andrew McCutchen and Evan Longoria last season. It was their attempt to make a run but as the season went they quickly scrapped that idea and started to restock the farm full of prospects. They will be entering 2019 with a healthy Madison Bumgarner, which is a start. That is if they keep him. As of October 31, they exercised his contract. There is talks of Bryce Harper coming to AT&T Park, but the last thing they need is to inflate their payroll any further. The past couple seasons they’ve hit home runs with draft picks. Maybe rebuilding might be the way to go moving forward. Let’s face it, how this team didn’t lose over 100 games is a miracle. Let’s start with some good. Niko Goodrum emerged as an efficient, every day player and Nick Castellanos was by far their best bat, even though his defense left little to be desired. Coming into 2019 they’ll have a healthy Miguel Cabrera that they can either have DH, now that Victor Martinez retired, or they can continue to play him at first base. Seeing how his bat and health are more valuable than his glove, having him DH might be their best option since he has six more years left on his massive deal. But if that’s the route they go, who will play first? It will be a massive hole that they can either move Castellanos in to play, even though he’s never played the position before, or opt to sign an affordable free agent who can provide quality at-bats. This is a well-deserved spot in the MLB Power Rankings. The fall of the Royals tells the story of the cruel realities of big market teams versus small market teams. They’ve been gutted and sold for parts. Second half beast Adalberto Mondesi impressed enough to solidify his starting spot next season. Hunter Dozier is another one who looks to improve his stock. That said, the club as a whole is a far cry from their magical 2015 squad. As expected, the Marlins are a ways out from competing. J.T. Realmuto has made it clear he’s not returning. This puts pressure on Starlin Castro to be the leader in the clubhouse, a role he’s never been expected to play before. Lewis Brinson and Brian Anderson might be the best pieces to build from. One-time St. Louis prospect Sandy Alcantara is also a sleeper to keep an eye out for. Not a lot to be happy about in Baltimore next season. Machado is gone. There is rumors he’ll return but don’t hold your breath. Adam Jones likely has played his last game in an Orioles uniform and most of their top prospects are years away from making any sort of impact. Rockies Trade Nolan Arenado to the Braves?